Dr. Robert Joseph, DPM prides himself on providing quality care to patients of all ages. Providing the highest quality of foot care is his number one priority. Dr. Joseph creates a strong connection with his patients by informing and educating them of their medical condition, accommodating their needs, and providing a positive and satisfying experience. With continual learning of new procedures and techniques, Dr. Robert Joseph continues to be at the forefront of emerging technology in foot care. Nobody understands this better than Dr. Joseph, a leader amongst Los Angeles podiatrists. He provides innovative, comfortable orthotics that are a pleasure to wear as they gently reduce problems associated with pressure points, muscle strain, and abnormal forces on the ankles, knees, hips and spine. Over time, custom orthotic support that is prescribed by Dr. Joseph will bring you relief from fatigue and pain, allowing you to enjoy daily activities comfortably. Mastering the art and science of surgical podiatry, Dr. Robert Joseph has dedicated the past ten years to refining his skills in the specialty of foot and ankle reconstruction and surgery. A graduate from Ohio College of Podiatric Medicine, Ohio (1995), he completed a two-year surgical residency program and continues to share his knowledge and experience at the Teaching Residency Program at Cedars Sinai Medical Center and Midway Hospital in Los Angeles, California. With multiple locations throughout the county of Los Angeles and Orange County, Dr. Joseph is a premier surgical podiatrist, providing innovative services and modern techniques. (patients attending Pacific Oaks Medical Group you will need to fill out your paper once on site). Seemed to diagnose my problem within a couple minutes. Recommended orthotics for my shoes. Still have some pain but my foot is better after wearing them. 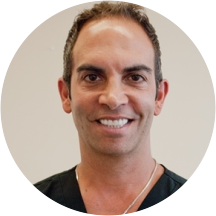 As before, Dr. Joseph is personable, professional and an all around nice guy. Took care of me right away, and I am confident all will go well. He treated me for three years, after two operations and endless procedures my foot condition only got worse. I think he is a doctor who is motivated by his bottom line income. Dr. Robert Joseph is the best! Greeted me with a smile and asked how I was doing. As I was explaining my pain and how the injury happened he knew right away what was wrong. I've seen Dr. Joseph in thepast and there was no question I would come see him again when I re-injured my foot. He's absolutely the best and I feel completely taken care of under his care. Dr. Joseph seemed very knowledgable and his bedside manner is terrific. I'm early in treatment, so it's not healed yet, but it's already a huge relief to have someone who knows what to look at, how to make the right diagnosis,and all the best options for treatment. I'd definitely recommend Dr. Joseph. Great. Dr. Was great. Wait was too long. They also didn’t get your forms. Dr. Joseph is the best. He is quick and knows what he is doing. I messed up my ankle in the late afternoon and it was great to be able to book online after-hours. I sprained my ankle before and my doctor's visit then was not as efficient and as friendly as this visit. I never felt so comfortable at a doctor's office before. Dr. Joseph definitely knew what to do and explained clearly what'swrong. The whole process was highly efficient. No waiting around long time just to hear about what my insurance covers, explanation that I could understand what's wrong with my foot, and what to do to help recover my foot. He was great but Zocdoc let me down. I had to re-fill out all of the paperwork. Get with it Zocdoc! If you have to have any kind of podiatry work done, THIS is your guy. He's quick, easy to work with, understands complicated issues and has a great bedside manner. He's one of the best in his field!! Desk staff was very friendly and efficient. Dr. Joseph diagnosed my issue quickly, and we came up with a treatment plan. He was considerate of the fact that I am breastfeeding and not wanting to take medications. I like his energy and humor as well. Love my foot Dr. Really gets to the root of the problem. He is funny and makes you feel comfortable also. I had no problem telling him what was going on. Everyone that works in this office is extremely nice, and professional. He was very nice although he spoke very fast. He was very friendly and funny. Dr. JOSEPH was really hyper but very friendly. He made my husband feel comfortable and seems to know what he's talking about very well. Dr. Joesph was great! His staff is just as great. He was one of the best Dr.s we had seen in a long time. He made you feel so at ease and was always in a great mood. He knew what he was talking about, and took great care of myson. You would never have known my son just recently had surgery on his foot, yes, he is that good!! Dr. Joseph clearly knows his work! I had been to another dr a couple of weeks ago and my problem was misdiagnosed. Within minutes (maybe seconds) Dr Joseph knew exactly what my issue was and what to do about it. Andhe explained everything very clearly. Also his staff (Nurse Jackie!) are great and the office overall has an upbeat, positive atmosphere. Makes going to the doctor a lot less painful ...I highly recommend him !! Great doc and great team! I really like how he worked. Got to the point fast and understood right away what I needed. Going back to see him in three weeks. I LOVE DR. JOSEPH!!! He is literally the best doctor I have ever had. He's so funny, and knows exactly what to do with any situation. I had an ingrown toenail, and he scheduled my surgery the next day. He giveseveryone his personal cell phone number so you can text him with any questions or concerns. He is a very caring and thorough, I really wish he could be a doctor for everything, not just a foot doctor!! Dr Joseph is just awesome, so nice, professional and funny!! I love him! I have been going to him for a number of years & he figures out what is going on right away & how to deal with it. I look forward to our periodic visits! Dr. Joseph makes going to the doctor fun! It is obvious he loves what he does! He is friendly, confident, and he knows what he is doing! An excellent foot and ankle doctor. He talks fast....so pay attention and take notes. He knows his 'stuff' and he gets to the point. It's pretty clear that Dr. Joseph wants to heal and be quick about it. I'll be back. I cant praise him enough. He was very kind and knew so much. Wasn't even 2 minutes and he had gotten to the root of my ankle and foot problem. I think he's great! Dr. Joseph explained everything thoroughly and shows true concern for his patients. He seemed to be very knowledgeable in his field. He was very nice & funny too! COMPETENT, CAREFUL, COURTEOUS AND CLEAR! FAR AND AWAY THE BEST PODIATRIST I HAVE SEEN. He is fantastic. He diagnosed my injury within minutes. Set me up with a proper brace and anti-inflamatory topical and is not rushing me to surgery but taking the non surgical route to healing my problem. Not to mention he isso upbeat and energetic it is a pleasure to visit him. He was great at explaining every step , asked me lots of questions and Listening , also very helpful and that is so important to me . Very happy that my experience was A great one!!! He's a smart and talented man. Knew what the problems were with my feet before I even said anything!